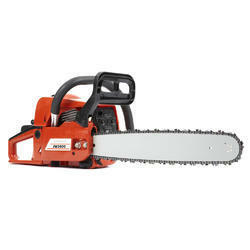 Prominent & Leading Manufacturer from Coimbatore, we offer petrol chain saw. Chainsaw has been a real suprise package for us here at Chipperfield Garden Machinery as these great products start, run and cut beyond all expectation. This machines are fitted with a Walbro carburettor to maintain easy starting at all times and with it's 51.7cc 2 stroke engine, this machine is the perfect product for you chainsawing requirements.